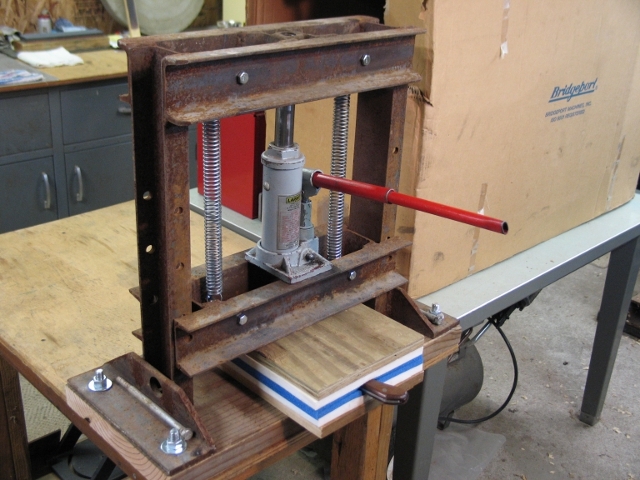 This is the press I use to form the Kydex when making thermoplastic sheaths. I found the main framework at my scrapyard, then modified it to fit my needs. It works very well. Looks great, have been thinking about making a press of my own. Could you send me a few larger pics.